At the beginning of May on our one-night stopover in LA after our trip to Joshua Tree, we went to Moon Juice in Silverlake on a recommendation from a friend. I completely fell in love with their juices, dreamy nut mylks and just the overall vibe and aesthetic of the place. When we returned home, I set my sights on recreating some of their yummy nut mylks. 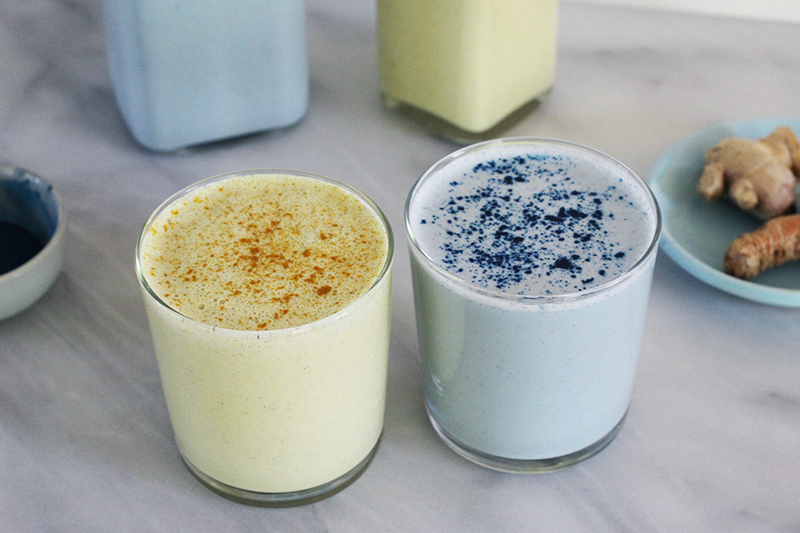 I used E3live‘s amazing Blue Majik powder (which you’ve probably seen used in many of my smoothies on Instagram) to achieve the blue hue and a combination of fresh and dried turmeric for the Golden Mylk. I seriously can’t tell you enough how tasty and delicious these are. 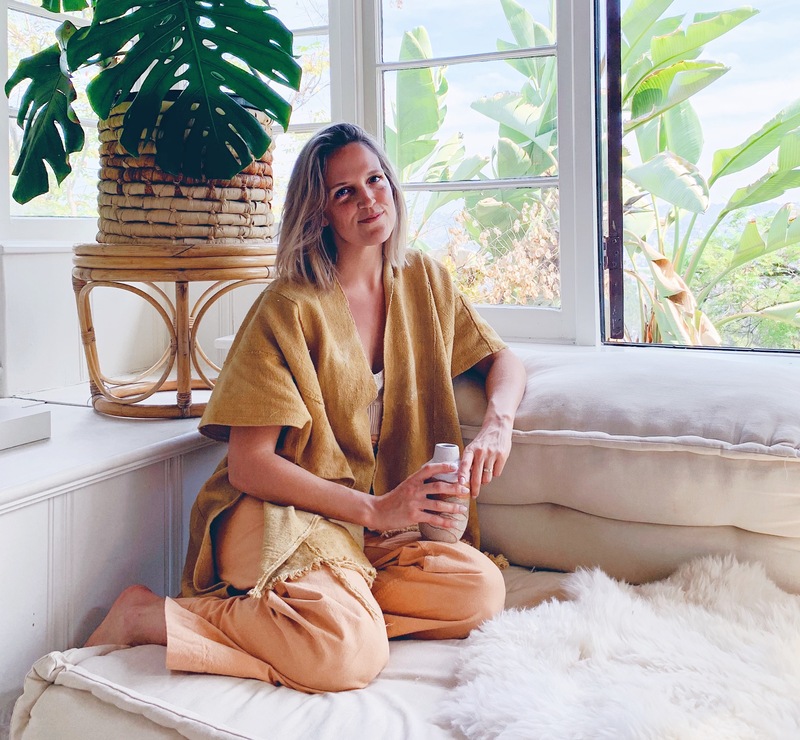 We’re especially fans of the Golden Mylk over here at our haus. I’m planning two more Moon Juice-inspired nut mylk recipes for the coming weeks, so stay tuned! For now, I hope you enjoy these two as much as me. I’ve still yet to visit moon juice – but have heard it’s like a cult! In regards to the Blue Majik Cashew Mylk recipe… you say to use blue algae powders. I’ve been using E3 Live’s Original or Brain-On fresh frozen form of blue-green algae. Would you recommend using the fresh frozen form of blue green algae in this recipe? Also, would love to see any other blue-green algae recipes you have up your magic sleeves!? 😉 And thanks for all the lovely recipes and knowledge you’ve made my healthy lifestyle so much easier and fun!